I did a 5 week intensive with an out of state ballet company this summer and loved it. The artistic director invited me to stay and join the trainee program which is September-June. However, this would be a big change for me as I live out of state and I will be still in high school going into my senior year. I would have to do on-line school to finish and live with a host family in Portland. do and I think my parents are behind me but they have a lot of questions because I am still a minor. I have felt stuck here in my hometown and my training has not progressed. I don't have any reservations about leaving here except that I would miss my family. Do you recommend this for a 17 year old dancer. I have been dancing for 12 years. Can you give me some tips or advice about whether this would be a good thing to do? What kind of questions would my parents need to ask the director to see if this was the right program for me? Wow, this is a big step for you but first you have to congratulat yourself for gaining this opportunity. That is fantastic. The director clearly sees potential in you as a dancer. not right, but you have to do what you want and not be influenced too much by other people's opinions. It is clearly a wonderful opportunity for you and chances like this do not come that often, especially for ballet dancers. For any one that is desperate to become a dancer, the obvious answer is to say 'go for it'. Yet I understand about all the other factors like being away from home and also still pursuing an academic option. Both my family and I felt strongly about always keeping on top of my academics as well as dancing, which is something I am grateful for because it always leaves me another option if anything else. I did live out of my city and away from home since I was 11 years old. It was hard and I did get homesick. Still now, I savour every moment of the time I have with my family but it is the sacrifice I had to make if I wanted to take the opportunity at such a young age to get the best training. 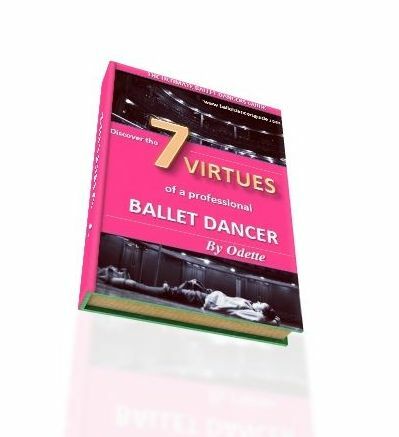 If you and your family are really serious about you becoming a dancer, then this gives you a stepping stone to see where a dancing life could lead you. There are never any gurantees for ballet dancers on the result or outcome of the choices we make, but there are some opportunities that may just never come again. Your parents might be interested to ask what the trainee program could lead onto, and whether there are options to continue more training of neccessary after the program has finished. You would also have to think about the chances of you gaining a professional dance job, as I presume this is the main objective yo why you would want to train out of state? Take some time to think about all your options and where each direction could lead you. Most importantly, always do what feels right for you no matter what.